No need to rush, be calm, and stay focus. "He was quick to response and update new designs. " "Photo shop, graphic editing, and art work for ad copy. I'm very happy with the results. Sophi_ad's is great to work with. Responsive, creative, very helpful. If the need arises, I will be using Sophi_ad's again. Well recommended. Thank you." "very happy with the design, exactly what we wanted"
"sophi_ad's work was nothing short of spectacular. She was very open to tweaking the logo even after the contest was over, and was very responsive to feedback. We are very excited to work with her again!" "Sophi_ad's was fantastic! Quick to respond to feedback and helpful getting our logo done. Thanks!" "The design for this logo was head and shoulders above the competition, making it a very easy decision to make in the end. Any edits or requests were done quickly and on target and communication was great, too. Great logo and process!" "Hi, Ad's has created a great logo with a smart choice of fonts, and was highly sensitive to our comments. We appreciate the effort, thank you!" "Ad's was an excellent designer to work with. There was always a very quick response to my feedback and I really appreciated how he would ask questions for clarification or if he wondered about a specific design element. He never tried to resubmit or pus..."
"Great job! Ad's was fantastic. They were creative, responsive, and very professional. Next time I have any design work projects, I will use Ad's. Thank you very much!" "Great job creating a logo that captures the spirit of what I'm trying to do. Awesome logo done in short amount of time...and so pleasant to interact with! Thanks so much!" "This guy's designs are way better than anyone else on 99 designs." "An absolutely wonderful design. Ad's was easy to work with and understood what I was looking for almost from the beginning of the contest." 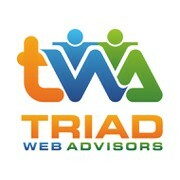 "Ad's has done a wonderful job on the logo design. Our partners had various opinions on the dozens of logo designs that came in, but they kept coming back to As's designs. He adjusted the logo as we suggested quickly and well executed. I would definitely..."
"We got over 120 entries into our logo design contest. It was amazing how few of the designers really got our aesthetic from our design brief. Ad's first take at our logo was head and shoulders above any other entries we had received. They were very ea..."
"Enjoyed working with the designer. Crisp and clean work. Responded to my suggestions." "Thank you for the unique logo & quick changes." "Ad's did a great job in the design phase and was highly gracious in working with closely to tweak the design before final delivery. We chose Ad's design because it conveyed our business model while being direct and simplistic in its illustration. DrJ"
"Ad's was great during my process of selecting the new logo for my business. I was overwhelmed by the number of Designers and the amount of Entries I received. I believe i received around 95 entries in less than one week and Ad's seemed to understand w..."